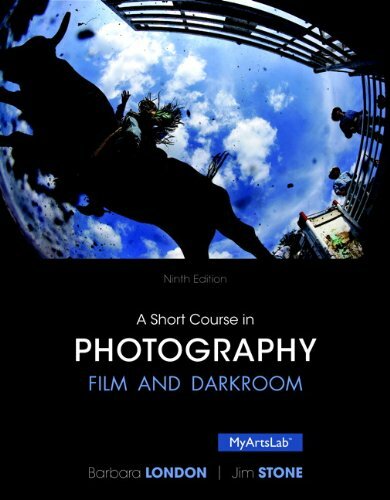 A Short Course in Photography: Film and Darkroom, 9/e introduces students to the fundamentals of photography and suggests ways in which they might create photographs that have meaning. With a special focus on black and white photography, the book also explores digital techniques and web photography resources, equipment, cameras and camera accessories, the exposure and development of film, and the making and finishing of prints. All aspects of the process are explained and clearly illustrated for students to access. Every pair of pages covers a complete topic along with the accompanying illustrations, diagrams, and photos. Students will be exposed to photographs by some of the greatest artists, including Deborah Willis, Roe Ethridge, Gordon Parks, Rebecca Cummins, Javier Manzano, and Gueorgui Pinkhassov.